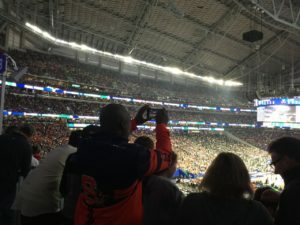 Detroit has made an ambitious bet on the sports entertainment model with its 50-block District Detroit development – which embraces Ford Field (where the NFL’s Lions play), Comerica Park (MLB’s Tigers) and most recently, Little Caesars Arena (NBA’s Pistons and NHL’s Red Wings). In fact, Motor City might just as easily be renamed Stadium City as Detroit looks to professional sports as one cornerstone of economic re-development. 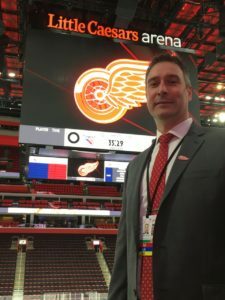 The city has all four major pro sports teams competing within a few blocks of each other, noted John King, vice president of IT and innovation for Olympia Entertainment and the Detroit Red Wings. 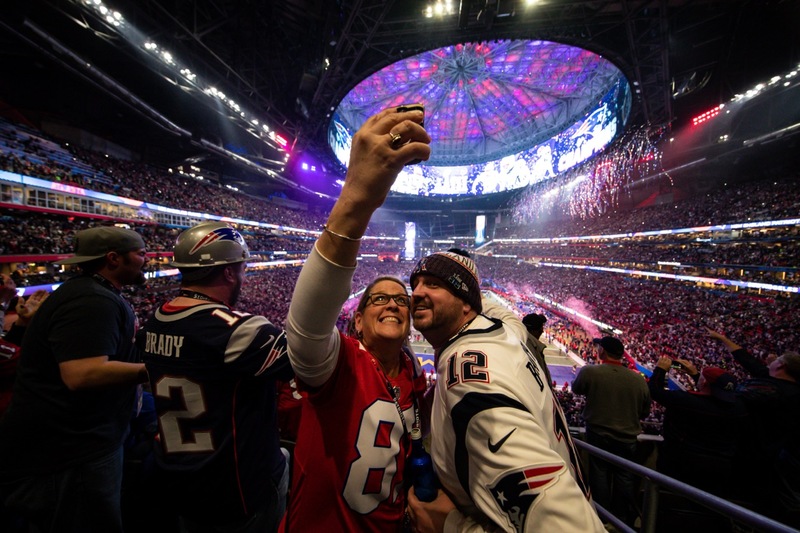 District Detroit plays host to more than 200 events, welcoming some 3 million visitors annually – not bad for an area that’s barely 18 months old. — Westgate Entertainment District in the greater Phoenix area houses State Farm Stadium (NFL’s Cardinals) and Gila River Arena (NHL’s Coyotes), plus the obligatory retail, restaurants and hotels. 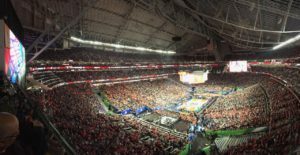 San Francisco, Kansas City, Cincinnati and Sacramento and other cities are all building out similar sports entertainment developments in their downtown areas that encourage sports fans to make a night of it, or even a weekend. 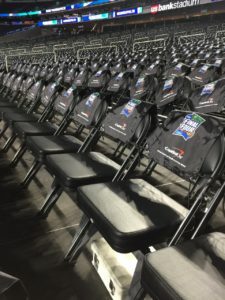 Even venerable venues like Green Bay’s Lambeau Field and Chicago’s Wrigley Field are also getting in the act of trying to build areas outside the parks to keep fans engaged (and spending) before and after events, or even when there’s no games being played. 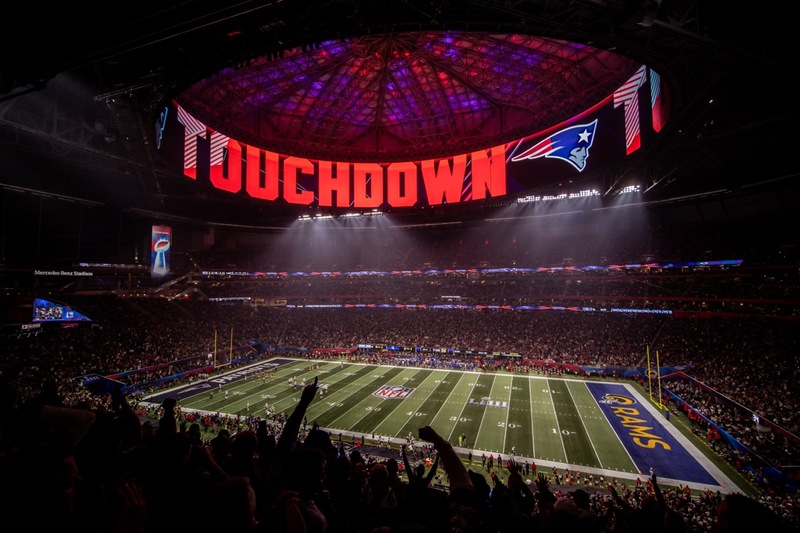 Editor’s note: This report is from our latest STADIUM TECH REPORT, an in-depth look at successful deployments of stadium technology. 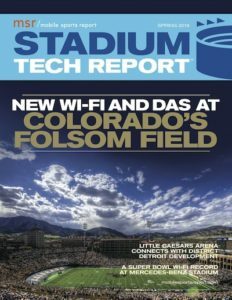 Included with this report is a profile of the new Wi-Fi and DAS networks being planned for the University of Colorado, as well as a profile of Wi-Fi at Vivint Smart Home Arena in Salt Lake City! DOWNLOAD YOUR FREE COPY now! 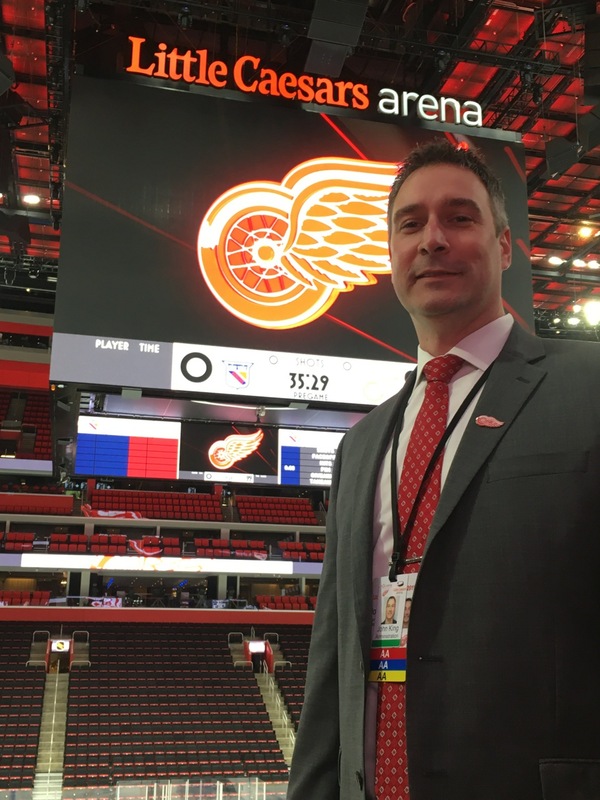 King is pleased with the performance of the IT infrastructure at Little Caesars Arena since the $863 million venue opened in the fall of 2017. With a backbone of two 100-Gbps fiber connections, the arena counts more than 700 Cisco Wi-Fi access points. 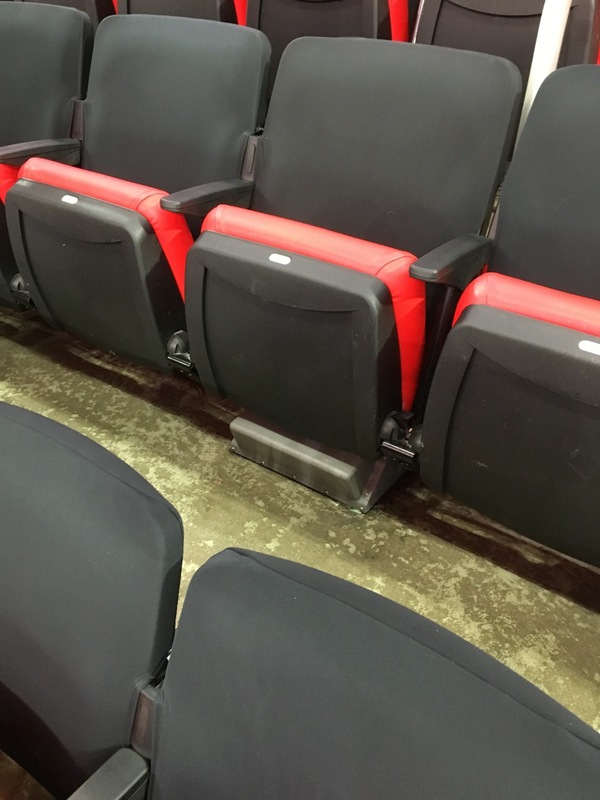 There are 364 APs in the bowl itself; the bulk of those – 300 APs – have been installed under seats to get the signals closer to where the users are. 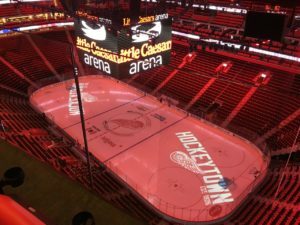 Mobile Sports Report put LCA’s Wi-Fi network and DAS system to the test this season during a Red Wings home game against the New York Rangers. Due to personal technical constraints, we were only able to test Verizon’s portion of the DAS deployment; the Wi-Fi network tested was the District Detroit Xfinity SSID. The good news is that both network types performed admirably. 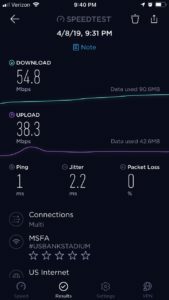 No surprise that bandwidth was most plentiful and speeds were fastest on concourses near concessions, as well as in the private clubs parceled around LCA. Fastest measured speeds: 139.68 Mbps download/33.24 Mbps on the DAS network outside the MotorCity Casino Club. 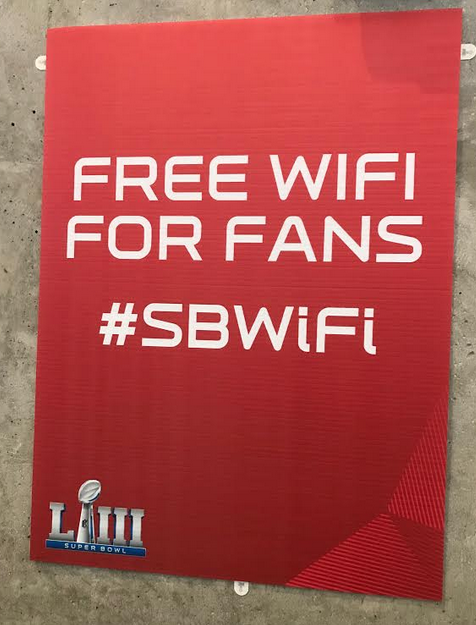 The Wi-Fi was also well engineered there – 51.89 Mbps download and 72.34 Mbps upload were plenty fast for hockey’s power users. 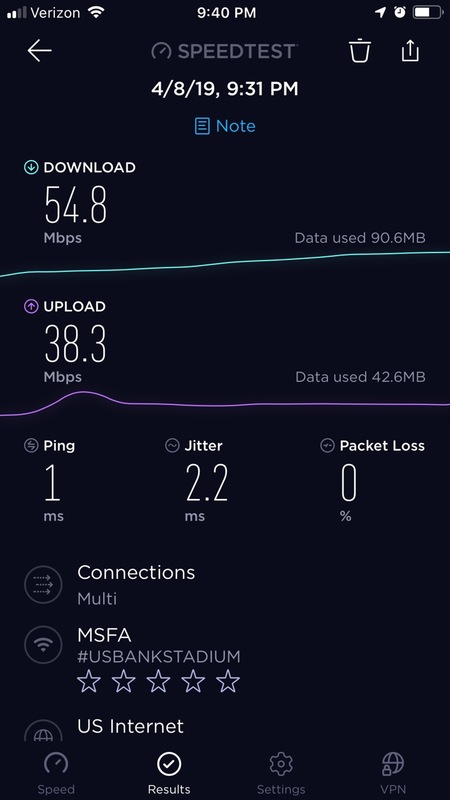 We measured comparable speeds by the Rehmann Club with 134.4 Mbps/36.25 Mbps on the DAS, and 21.56 Mbps/120.8 Mbps on Wi-Fi. 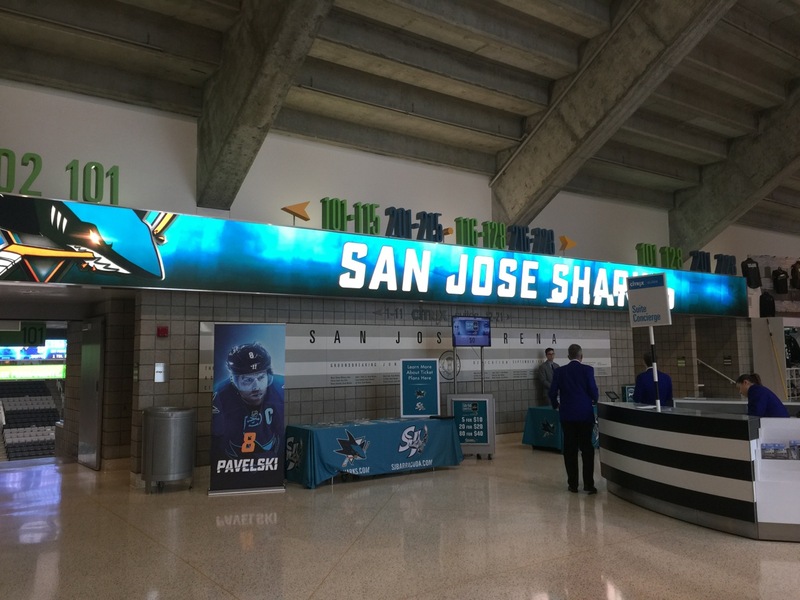 Similarly, connectivity was not an issue while standing in front of the impossible-to-miss Gordie Howe statue in LCA’s main concourse, where we clocked DAS at 102.95 Mbps/22 Mbps, and Wi-Fi at 43.34 Mbps/43.72 Mbps. Speeds around the arena were generally in double-digit megabits, both for Wi-Fi and DAS. The Wi-Fi signal got a little sluggish in Section M7 (0.79 Mbps/3.03 Mbps) and Section M33 (1.68 Mbps/29 Mbps). Lowest measured throughput on the DAS network was in Suite 17 with 16.18 Mbps/17.41 Mbps, still plenty fast to handle most fan requirements. 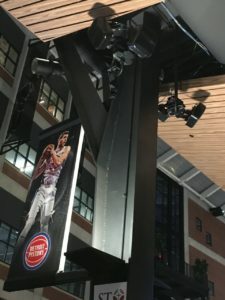 In tandem to LCA, there are approximately 1,000 APs also attached to the network that either handle District Detroit’s public Wi-Fi or connect to 34 parking lots and garages. 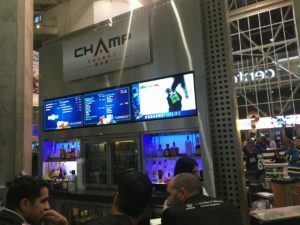 The network uses the Cisco Vision IPTV digital display management system to control display programming, including advertising that appears on video screens in LCA’s many hospitality suites. 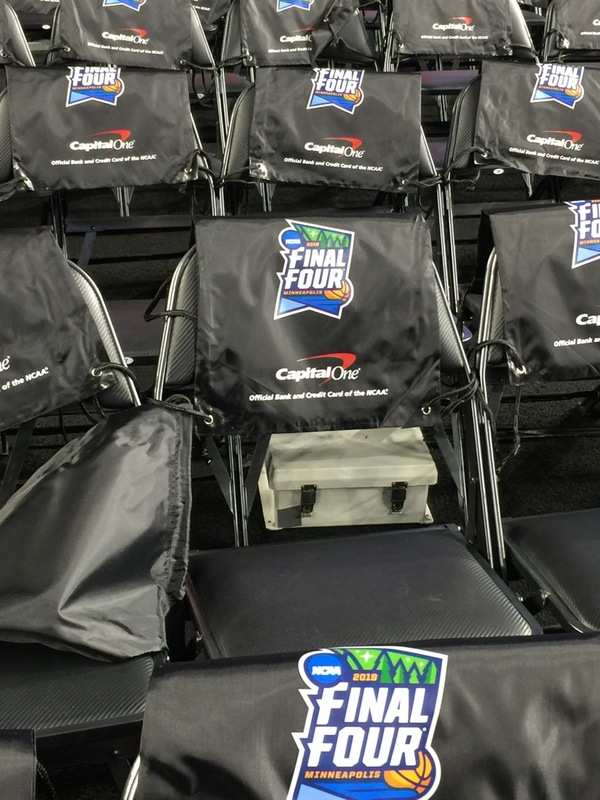 With five TV screens per suite, LCA deploys an L-shaped “wrapper” around the main video image used for advertising. 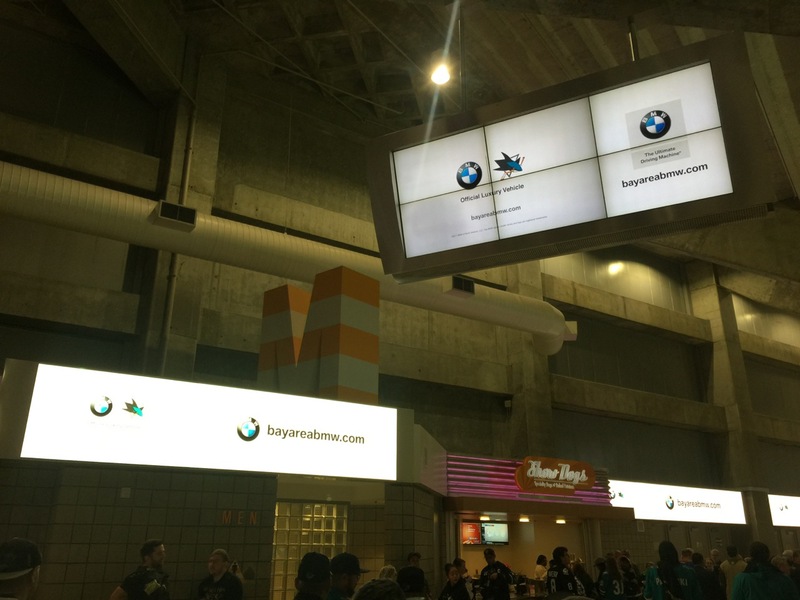 “We rotate that content in the suites and run loops in concourse before and after events,” King said. 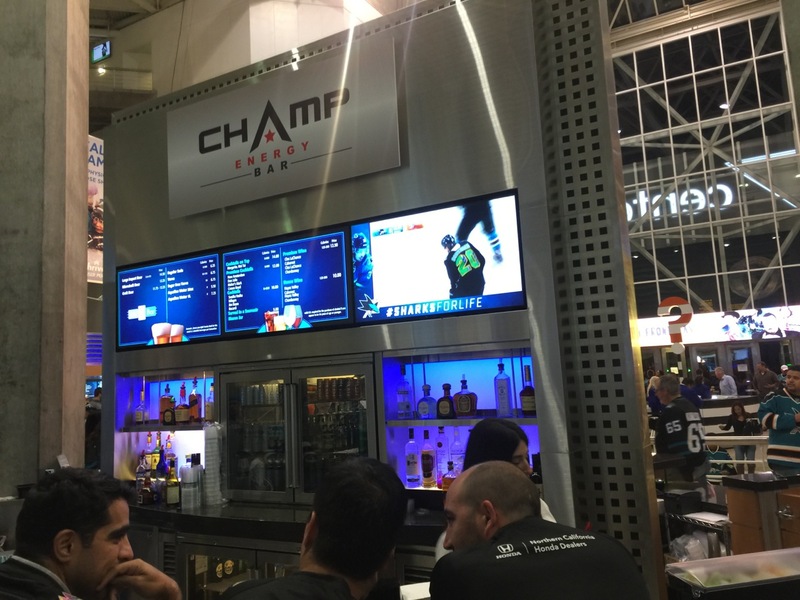 “It allows us to put scripting in different zones or post menus and dynamically update prices and items for sale.” LCA’s concessionaires can change the price or location of food and beverage items, all through the networked point-of-sale system. 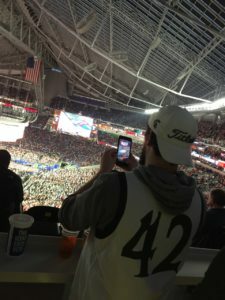 The District Detroit app is divided into three “buckets,” according to King: Detroit Red Wings, Detroit Pistons and 313 Presents — all the events and entertainment outside of sporting events (313 is Detroit’s area code). When configured for hockey, LCA can accommodate up to 19,515 Red Wings fans; as a basketball arena for the Pistons, LCA holds 20,491. 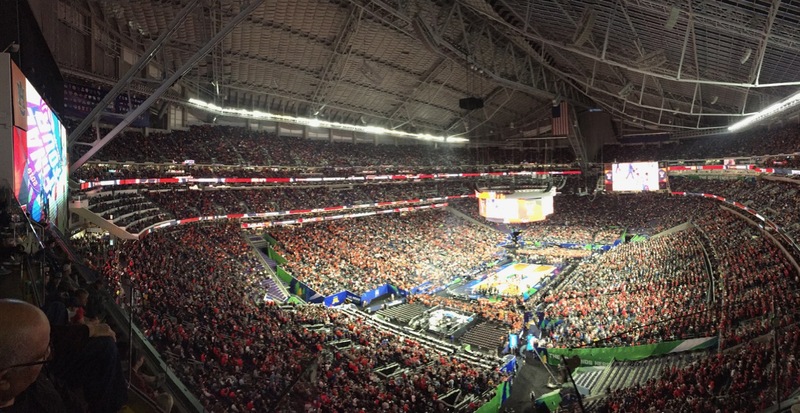 But some events may draw fewer people and King and his team adjust accordingly. 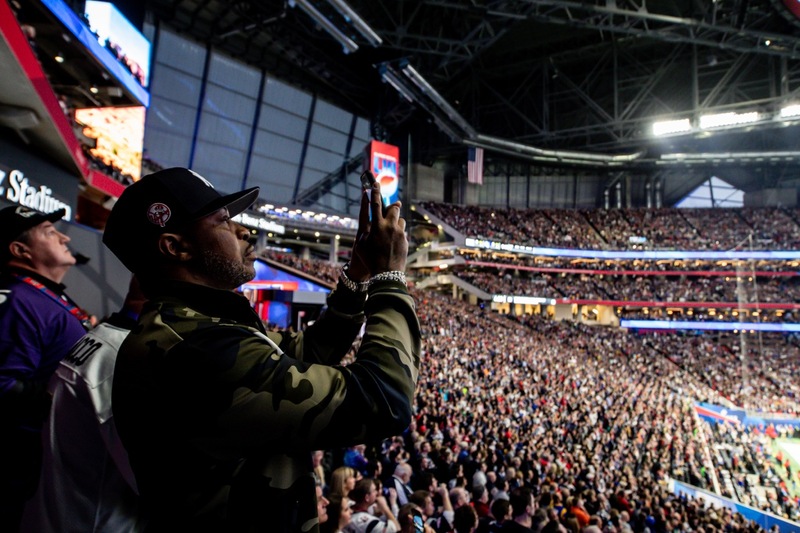 “We’re an arena for 20,000 fans and as we looked at that density, we found that 10,000 fans behave differently and we’ve had to tune the arena differently based on traffic flows,” he said. When completely full, Wi-Fi signals must pass through so many “bags of water,” as RF engineers sometimes describe human spectators. 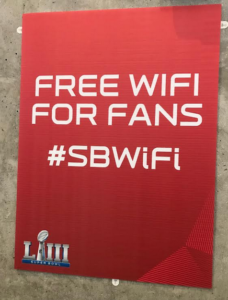 Half as many fans means that Wi-Fi signals behave differently, consequently, a fan may connect to an AP that’s less than ideal, which can affect both user experience and system performance. “We’ve looked at some power tweaks and tuning; we also have the ability to tune [the arena] on the fly,” King said, but emphasized that the venue’s Wi-Fi doesn’t get re-tuned for every event. “We try to find the sweet spot and not do that too much. On an event day, we try not to touch anything that isn’t broken,” he said. Like any sports and entertainment IT exec, King is looking at ways to improve the fan experience and derive more performance and revenue from Olympia’s IT investment. Buoyed by the success of mobile ticketing at LCA, King said he’d like to find some way to use biometrics to help speed up transactions at counters and pedestals throughout the arena. And he’s excited about 5G cellular deployment, which he believes could compete with Wi-Fi if 5G delivers on all that’s been promised by carriers. LCA’s app uses Bluetooth for navigation, letting fans input their seat information for directions. 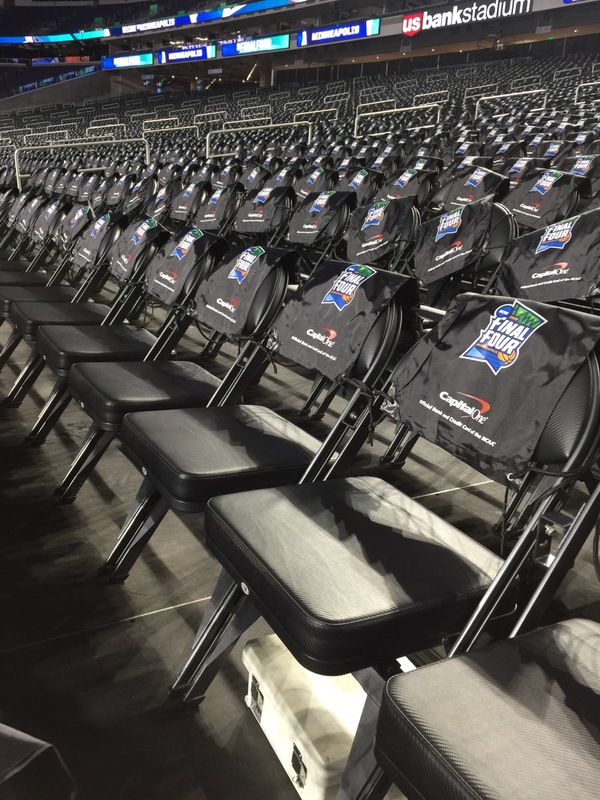 “Right now, we have pre-order pickup, but in-seat service is something we’re looking at. What other line-busting technologies can we do?” King said. 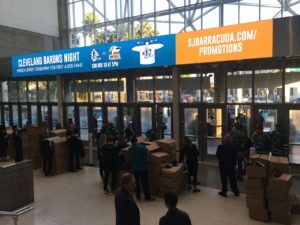 And while fans can pre-order food and beverages at LCA, King also wonders if pre-ordering of team merchandise (“merch”) is something that would appeal to fans and be easy to execute. 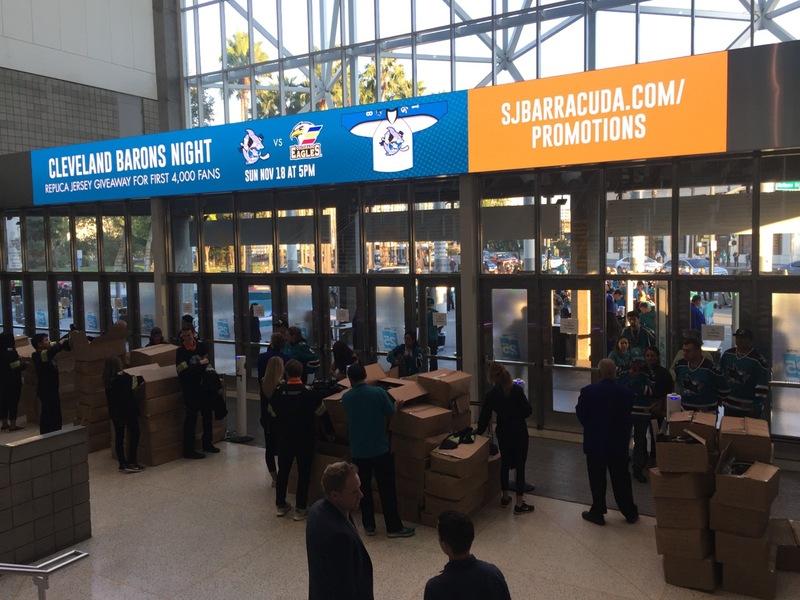 “We’re looking at a Cincinnati venue where they have compartments for food, hot or cold, that’s been pre-ordered,” he said, wondering if a similar compartmentalized pickup system be used for merch. King sees plenty of room for improvement in overall management reporting across IT systems at LCA and the 12,000 active ports that keep systems humming. Another set of metrics King can’t get at the moment: Performance data from AT&T, T-Mobile and Verizon about LCA’s 8-zone DAS system. King said he’s talking with Verizon, the lead DAS operator at the venue, about getting autonomous reports in the future, but for the time being King and his team don’t have much visibility there. The DAS uses the Corning ONE system.